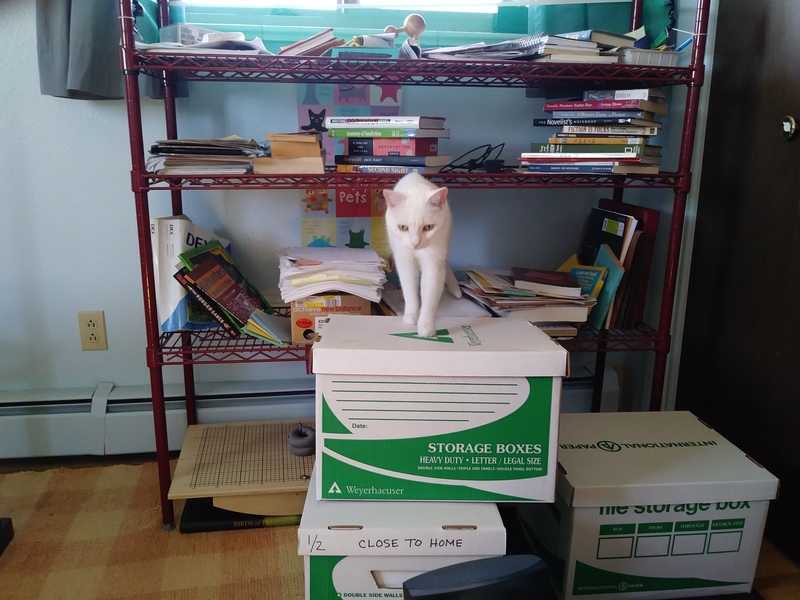 This morning I pulled some manuscript/project boxes out of the closet to see if there’s anything in there worth salvaging for my next writing endeavor. (My little writer brain has to have something to noodle on, so while I await my critique group’s feedback on my work-in-progress, I’ve started thinking about what comes next). Well, those boxes proved irresistible to the cats. Later this afternoon, Emma and I went out on the trails. Although it was warm enough for me to wear shorts and a short-sleeved shirt, there were still a few patches of snow along the way. We stopped running so that Emma could do her thing. 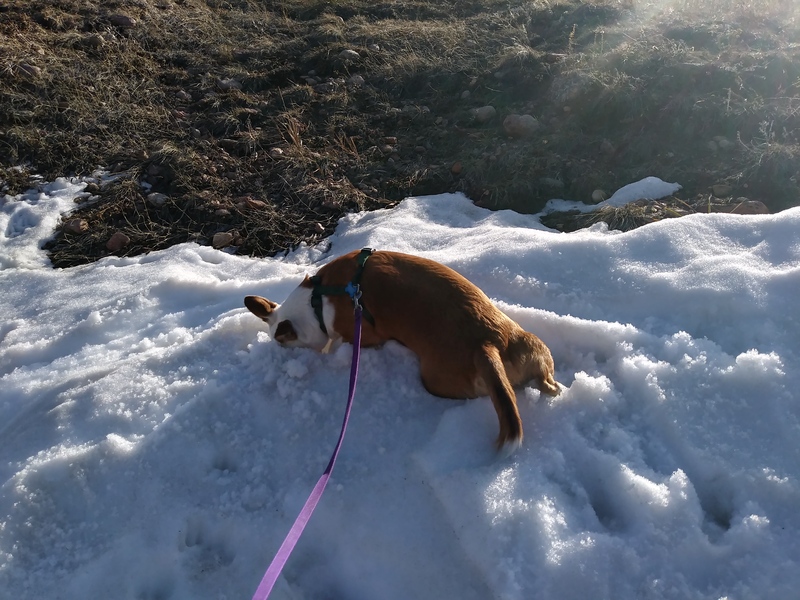 I laughed as she scooped snow with her snout and dug holes with her paws and slid down the slope on her tummy. They are cute. And it’s fortunate that Emma (the dog) has cute on her side, because she also REALLY peeved me by being insane today when we encountered other dogs. I hope she goes back to her cute self quickly! Yep, I remember that from my teaching days. And my parenting days. And just life in general, I guess. HA! Hey Barb! Has the warm weather hit yet? I hope it arrives soon! Personally, I’m wishing and hoping for snow (or lots of rain), because we’re very dry down here. I’ll take your snow and you can have my sunshine…for a while.